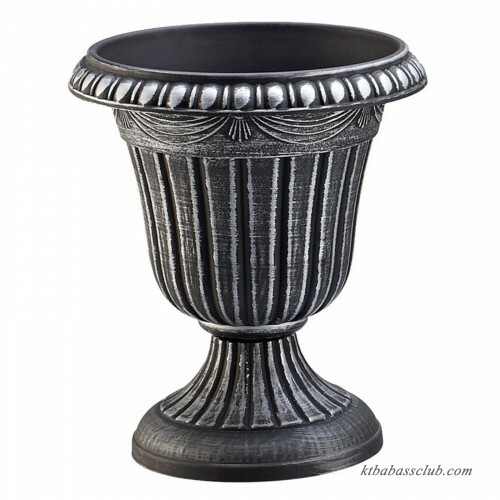 The Arcadia PSW Traditional Plastic Urn Planter brims with traditional elegance from its classic urn-shaped cup to its pedestal design. 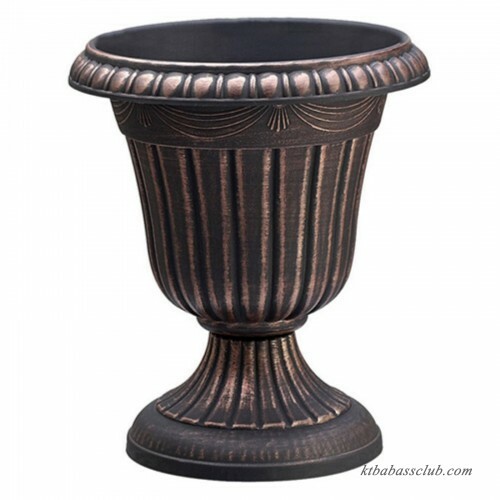 Constructed from eco-friendly materials, this planter is both lightweight and durable. 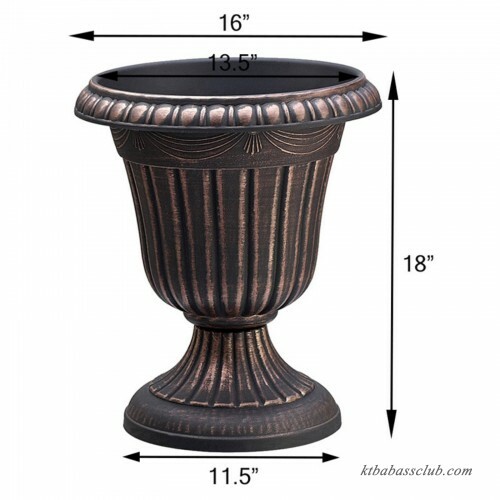 We offer it in multiple finishes so be sure to select one when placing your order. Large dimensions: 16 diam. X 18H in. Small dimensions: 10 diam. X 12H in. Overall Height - Top to Bottom: 18\"
Overall Width - Side to Side: 16\"
Overall Depth - Front to Back: 16\"